Anima is a new women’s sportswear brand by Japanese apparel manufacturer World and is centered around “running, fitness and yoga”. 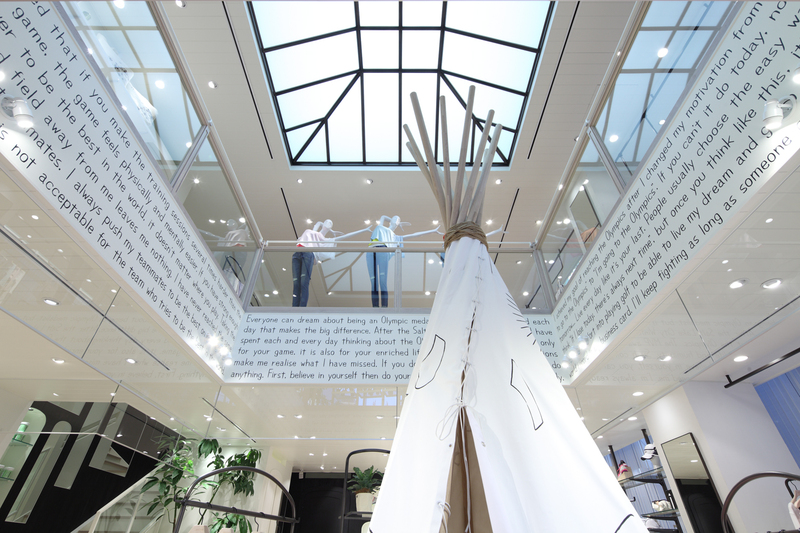 For the opening of the flagship store in Harajuku, the brand’s director proposed the theme of a “sharp” and “clean” interior. With that in mind, Jamo used a monotone foundation of black and white together with wall treatments that highlight their rustic materials to create a greater sense of depth and dimensionality in the space. The design of the black fixtures and stairs from the first floor are continued where Jamo has increased the floor space of the second floor sales area. 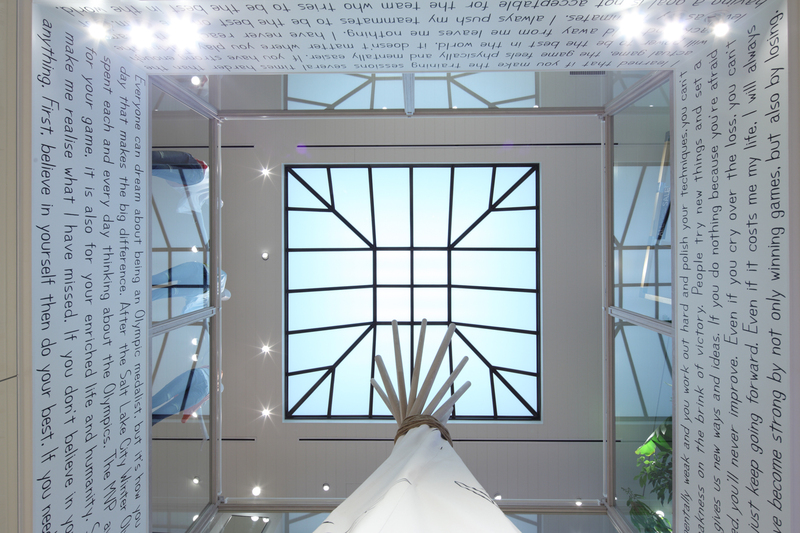 While using such devices to increase the number of shoppers going to the upper floor, Jamo also used a prominent skylight to bring shoppers’ sight upwards. 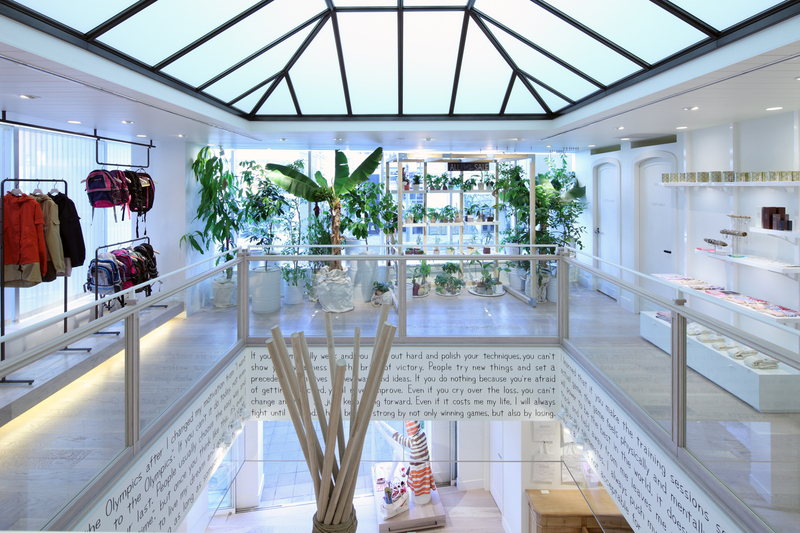 The space was given a greater sense of openness. 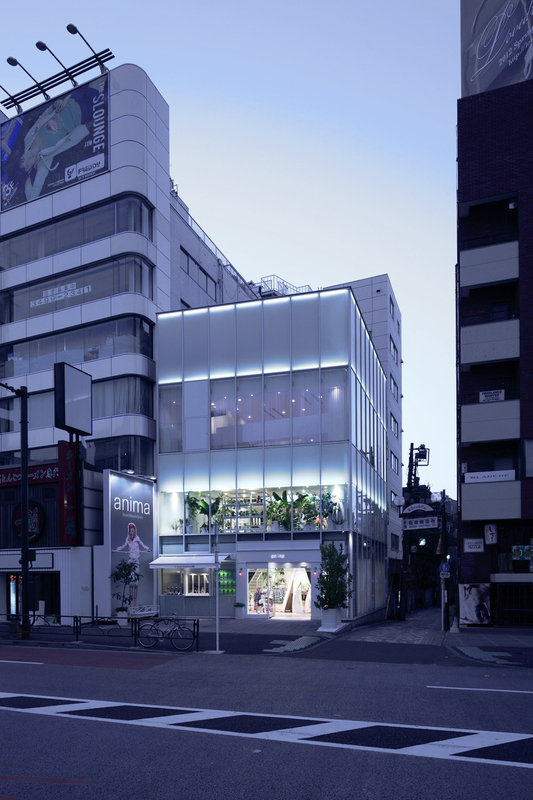 Vertical blinds were used on the facade to make the building appear more slender. 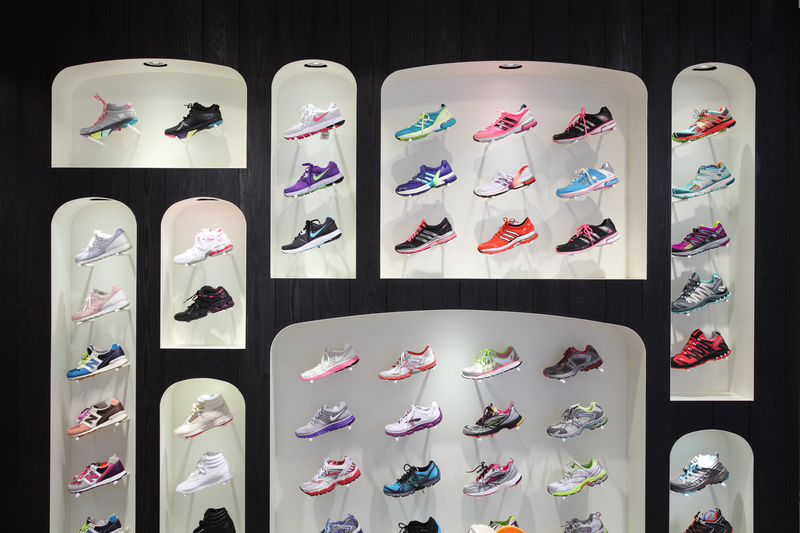 In the end, Jamo was able to create an exterior that serves as a symbol for this design conscious sportswear brand.